Join us This Saturday at the Homeownership Fair! Each year, the City of Milwaukee and Take Root Milwaukee host an annual Homeownership Fair to encourage home buying in the city and to market City-owned properties and resources. It's also a chance for residents to learn about loans and grants available to both homebuyers and existing homeowners. DCD Real Estate/STRONG Neighborhoods and NIDC will once again staff two tables at the event this year. Residents can connect with lenders, realtors, homeownership specialists and neighborhood organizations. Resources for foreclosure prevention will also be available. Workshops (Spanish/English) will be held on home buying (9 a.m. and 11 a.m.) and home rehab (10 a.m.). Please plan to visit us on Saturday, March 18, from 8:00 a.m. to noon at The Italian Conference Center, 631 E. Chicago Street. FREE lot parking is available or jump on the bus (near route 15 and the Green Line). View flier in English or in Spanish (En español). Sign up or share the facebook event page. Until then, continue reading below about properties for sale, neighborhood events and updates, helpful resources and homeownership opportunities! Offers are due on our first Current Listing of homes by March 22 at 10 a.m. and our second listing by April 4 at 10 a.m. Any unsold properties from these listing will then move to our Extended Listing online or will be listed with our external partnering agents. Work with your realtor to find your new City of Milwaukee home! Homes for sale on the Extended Listing are available to owner-occupants and investors who want to earn rental income. 4 BR / 2 BA • 2,428 sq. ft. This unique two-story Italianate home in the Brewer's Hill Neighborhood is one of the oldest in the city built in 1859 and is listed on the National Register of Historic Places. The lot is 3,500 sq. ft. and includes a driveway with a detached garage. Exterior repairs have been completed by the city including siding, porches and paint. Offers due: March 22 at 10 a.m.
May be eligible for $20,000 forgivable loan and WI Historic Homeowner’s Tax Credits. Learn more about the history of this house and view photos at OnMilwaukee.com. 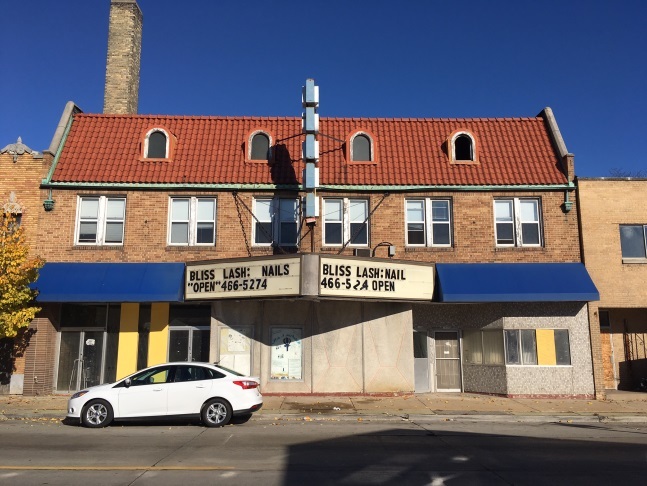 Great owner-occupant investor opportunity in the Clarke Square Neighborhood! Each of these homes offers 2 bedrooms and 1 bath each in 789-890 square feet of space. This is a great opportunity for an owner-occupant to live in one home and earn rental income on the other three homes on the same lot. Two homes front the street and two are in the rear. Offers due: April 4 at 10 a.m.
May be eligible for Rental Rehabilitation Loan Progam funds (up to $14,999 per unit) or $20,000 forgivable loan. Accepting applications for current homeowners! The STRONG Homes Loan Program from NIDC offers partially forgivable loans of up to $20,000 for emergency and essential repairs to owner occupants of 1-4 family properties throughout the City of Milwaukee on a first come, first served basis. Technical assistance will also be provided to assist with rehab projects. Celebrate Water Week with the City's ECO Office from March 20-24 with free events that are open to the public. Attend an open house, green infrastructure talk, a water social with Mayor Barrett or hike along the Milwaukee River. Learn more about these events and RSVP online. March 23, 5:-7 p.m., St. Ann Center for Intergenerational Care, 2450 W. North Ave. - The gathering will be focused on a deep dive into two of the MKE United Transformative Directions: Economic Development (Transformative Direction #2) and Housing (Transformative Direction #3). RSVP online. Tuesday, March 28, 6-7:30 p.m., JB’s on 41, 4040 S. 27th St. - Join DCD Planning for an Open House on the South 27th Street Strategic Action Plan. Business owners and residents can learn more about the draft Final Plan and provide feedback before it gets adopted and also to celebrate its completion. Staff will share info on the study’s recommendations, how those recommendations will be implemented, and redevelopment concepts from the design charette. Thursday, April 6, 4:30-9:00 p.m., Potawatomi Hotel & Casino - The Milwaukee Awards for Neighborhood Development Innovation (MANDIs) celebrate Milwaukee’s diverse neighborhoods, and the many passionate, committed people working together to create a better future for themselves, their families, and their communities. Register by March 24. Attend the next Department of Neighborhood Services FREE 5-hour training seminar and receive a 100-page manual and certificate of completion. More sessions online. Wednesday, March 22, 9 a.m. - 3 p.m. Sign-In: 8:30 a.m.
Wednesday, March 29, 9 a.m. - 3 p.m. Sign-In: 8:30 a.m. Attend the next session to learn more about the Homebuyer Assistance Program, which offers assistance from a rehab specialist and up to $20,000 forgivable loans for the rehab of City-owned homes. Tuesday, March 21, 6-7:30 p.m.
Washington Park Library (Community Room), 2121 N. Sherman Blvd. View program brochure to find out more about this exciting opportunity! Share with your friends and RSVP on our facebook events page. Follow the Department of City Development on Facebook, Twitter and Instagram for more updates on real estate for sale, programs and incentives offered, development projects around the city, and the latest news from the Mayor's STRONG Neighborhoods Plan. Unique opportunity to rehabilitate this 7,200 sqaure foot former theater built in 1926. Permitted uses include theater, restaurant, retail, office, business/food service or bank. Proposals will be accepted and reviewed on a continuous basis until an acceptable proposal is received. Financial resources and incentives may be available such as façade grants, white box grants and retail investment funds. View more commercial properties for sale online at milwaukee.gov/CRE. 1313 & 1329-1331 W. National Ave. Parcels must be conveyed together to the same owner. Does the State Theater/Palms building have a future after last month's fire? The City of Milwaukee is accepting nominations for the 20th Annual Mayor’s Design Awards. The awards recognize exceptional design of buildings, and places in the city of Milwaukee. Submissions are welcome on or before March 31.